From the creator of The Bachelor franchise, summer series Bachelor in Paradise, now in its fourth season, features some of The Bachelor’s biggest stars and most talked about villains. They all left The Bachelor or The Bachelorette with broken hearts, but now they know what it really takes to find love, and on Bachelor in Paradise they’ll get a second (or third) chance to find their soul mate. Living together in an isolated romantic paradise in Mexico, these former bachelors and bachelorettes will explore new relationships, fall in love or go through renewed heartbreak. The romantic dating series will feature twists, shocking surprises, unexpected guests and, some of the most unlikely relationships in Bachelor history, plus all the usual romance, drama, and tears of the Bachelor franchise. It all comes together in the romantic television event of the summer, airing Mondays and Tuesdays, 8/7c on ABC. Situated along the pristine Pacific coastline and surrounded by the Sierra Madre mountain range, Vidanta Nuevo Vallarta is set on over 2,500 acres. The destination is comprised of five resort hotel brands, including the Five-Diamond Grand Luxxe, The Grand Bliss, The Grand Mayan, Mayan Palace, and Sea Garden. Guests look out to panoramic views from the Ameca River to the Bay of Banderas along a mile of beachfront, and navigate the destination’s 27 pools and 40 signature restaurants, cafés, and bars with over nine miles of raised wooden pathways. Resort features include two championship golf courses – a Nicklaus Design course, and the Norman Signature Course; two spas – Brio (accessible to all guests) and the luxurious Spatium (accessible to Grand Luxxe guests only); live entertainment nightly at Santuario; an extensive marketplace showcasing authentic local artists and craftsmanship; and multiple outdoor adventures and activities. Vidanta also offers destinations throughout Mexico, including Riviera Maya, Los Cabos, Acapulco, Puerto Peñasco, Puerto Vallarta, and Mazatlán. Innovative partnerships include collaborations with the creative visionaries at Cirque du Soleil to create JOYÀ – a permanent theatrical and culinary experience in Riviera Maya. 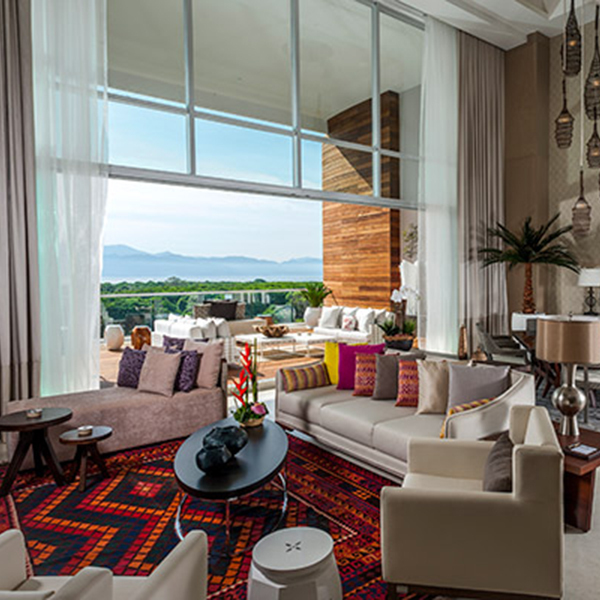 Vidanta has also partnered with global hospitality company Hakkasan Group on an exclusive, long-term agreement to debut new nightlife, daylife, and dining experiences. The first phase will welcome two restaurants and a dayclub in Los Cabos. For more information about Grupo Vidanta or to book a stay at any of Vidanta’s locations, please visit vidanta.com. From the creator of the Bachelor franchise, and hosted by Chris Harrison, it’s Bachelor in Paradise. Some of The Bachelor’s biggest stars and villains are back. They all left The Bachelor or The Bachelorette with broken hearts but now they know what it really takes to find love, and on Bachelor in Paradise they’ll get a second chance to find their soul mates. From Next Entertainment in association with Warner Horizon Unscripted & Alternative Television, the series is executive produced by Mike Fleiss, Martin Hilton, Nicole Woods, and Elan Gale. For more information on Bachelor in Paradise, visit http://abc.go.com/shows/bachelor-in-paradise.